Posted on July 29, 2011 December 22, 2011 Author Yoshi NinWhy So Serious? Hello everybody, I’m Yoshi Nin, and am here to share my experience on the All Nippon Airways Pokemon Airplane! Posted on July 28, 2011 September 21, 2012 Author MadaoWhy So Serious? 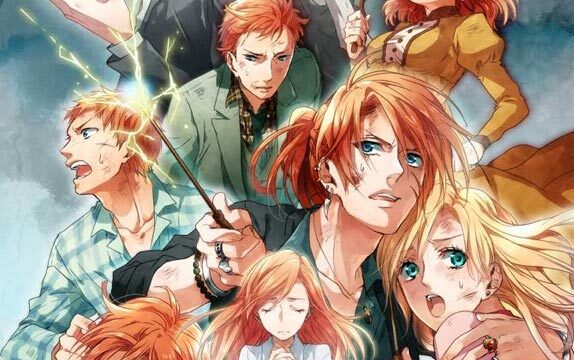 We found this brilliant fan art entitled – If Harry Potter was an Anime. We think whoever that created this Harry Potter Manga / Anime should get an award. Click to view the complete picture! Tell us what you think. Posted on March 31, 2011 May 4, 2011 Author MadaoWhy So Serious? Toyko JAPAN – Bandai Inc. (NASDAQ: Bandai) announced today that it has agreed to acquire Otaku House, the Japanese Theme Gift company for $24 Million in a straight cash buyout. Following the acquisition, Otaku House will operate independently to preserve its successful brand and passionate community. Picture: Want to know the Boss of Otaku House? Posted on August 29, 2009 March 7, 2012 Author MadaoWhy So Serious?